Hey gang, we shared a few weeks ago that I (Jeremiah) will be hosting a 24-hour game marathon to support the Children’s Miracle Network of Hospitals. I’d like to invite you once more, if you are local to the Northeast Ohio area (or feel like making a road trip) I’ll be playing games from 8:00 AM this Saturday (Nov. 2) until 8:00 AM Sunday (Nov. 3)! I’m working on a few surprises and maybe a give away or two for the day as well! I’ll keep filtering info to you as the week goes on so be sure to check back! Today’s category for the Gift Guide is Party Games! These are the ones you bring out when everyone’s crashed your pad for Christmas. Or when your adult small group gets together for New Year’s and someone wants to play Catch Phrase for the millionth time… Or when you have a group of restless teenagers wanting to burn off some energy. 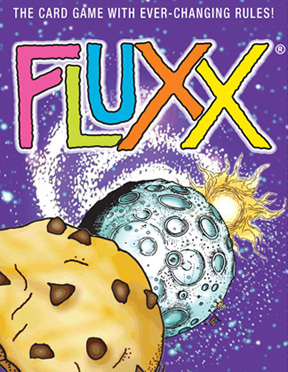 Fluxx—This signature game from Looney Labs has become a staple game for larger groups. It’s easy to learn, but hard to win—in fact when the game begins there is literally no way to win! Players take turns drawing and playing cards. As cards are played new rules, goals, and items are added to the game; once a goal is met, then the game is over. The game is always changing, and planning a turn in advance is nearly impossible; it’s high on luck, and low on strategy, which makes the game both fun and frustrating at times. Fluxx comes in many different flavors, including Pirate, Wizard of Oz, Zombie, and Monty Python and the Holy Grail! Check out our review of Fluxx right here! 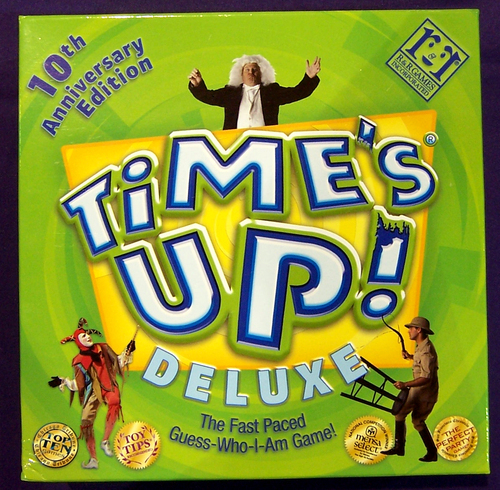 Time’s Up: Deluxe—I’ve (Firestone) played this charades variant a RIDICULOUS number of times, and I love it. We play in teams, and everyone is given the same 40 names of famous people. You play in three rounds: In the first one you can use words and actions and sounds and pretty much whatever to get your team to guess the name. 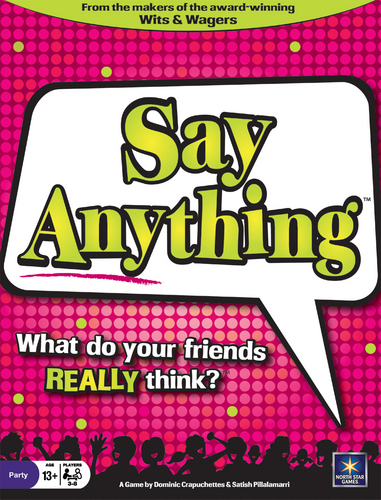 In the second round you’re all playing with the same exact words, but this time you can only use one word (but still actions and sounds). And finally, in the third round, again using the same batch of words, you can only use actions and sounds. So much fun. 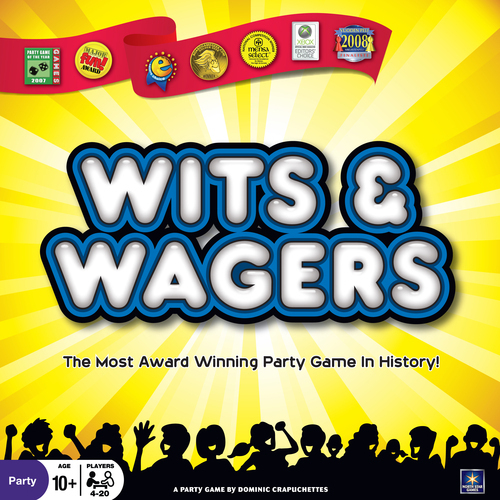 Wits & Wagers—The great thing about this “trivia” game is that you don’t have to know a lot of trivia to do well. The game asks a question—such as “How tall is the Statue of Liberty?” Everyone answers, and then you bet on whose answer you think is actually closest. You do get points for having the answer closest to the actual answer, but you can still do well by betting well. 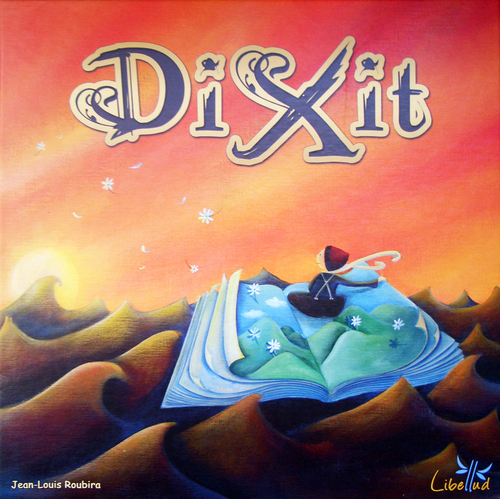 Dixit—Bring your creativity for this game. There are lots and lots of wild and interesting pictures. Everyone is dealt a hand of the cards. On your turn, you pick a card from your hand, place it facedown, and say a word or phrase that describes that picture in some way. Then everyone picks a card from their hand that could also describe the word or phrase you said and adds it to the facedown pile. You shuffle the cards, place them faceup, and guess which card you think was the original card. You don’t want to be too obvious in your descriptive word(s), because if everyone guesses correctly, you get no points. And anyone who played a card that was guessed (incorrectly) gets points, too. I really like how this stretches me creatively. 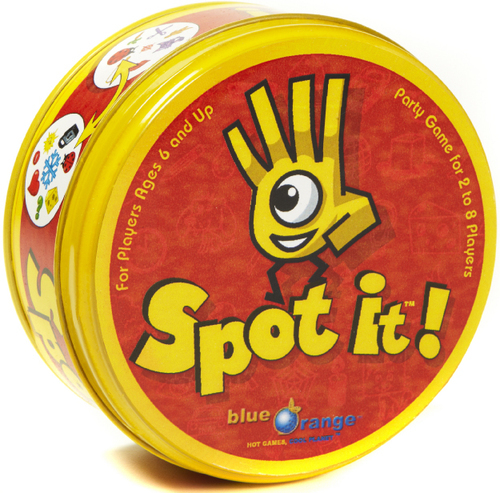 Spot It!—This might be a little short for a party game, but if your group likes short games, this is perfect for large groups. Everyone is trying to be the first to spot the symbol on the middle card that matches one in front of them. It’s harder than it sounds. This game is cheap, portable, and easily explained—perfect for a party! Check out our full review here! 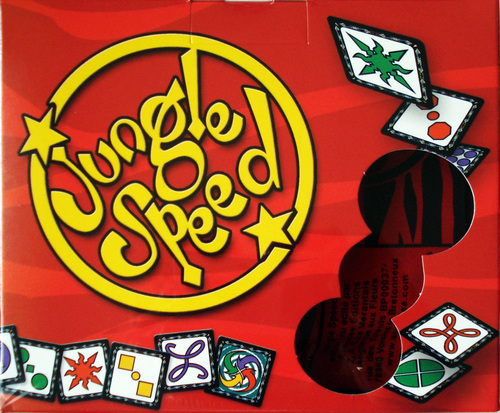 Jungle Speed—Everyone has a pile of cards. Each person in turn flips the top card of their pile. If the pattern matches someone else’s, there’s a duel where you both try to grab the stick in the middle. Bandage everyone up, and continue! We reviewed the whole game a few weeks ago. 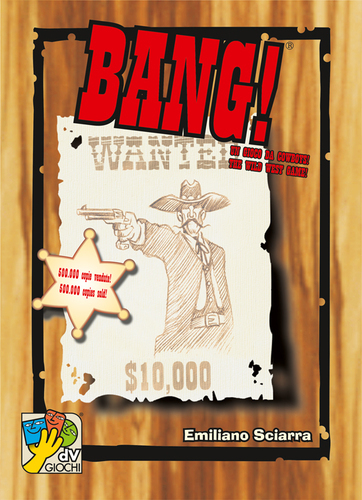 Bang!—The Spaghetti Western card game, another fun “role” based game in which players are dealt a role card that determines how they play and win the game. Lots of finger pointing, dueling, and just plain taking pot shots at your friends! Check out our full review here. 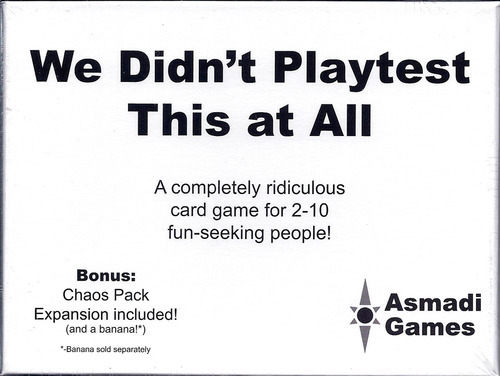 We Didn’t Playtest This at All—A game that not only rivals the quirkiness of Fluxx, it surpasses it! WDPTAA is a very fast-playing game for larger groups. The goal is simple: win. There are a few ways to win, but the best way is to not lose. And there are a TON of ways to lose. Players can lose one at a time, or in large fell swoops, depending on the card played. It’s totally random, but totally fun! Every time we play it there are a ton of laughs! And you can read the full review on the game right here! When it comes to board games, if there’s one question I’m asked more than any other, it’s “Where do you get these games?” Usually I have to tell people that they can get it on Amazon (if they’re lucky), and on online retailer or game store if they’re not lucky. That’s why it’s great when I can tell people that a fun game is available at their local Target store. Spot It! comes in a round tin, and it’s just 55 cards with symbols on them. 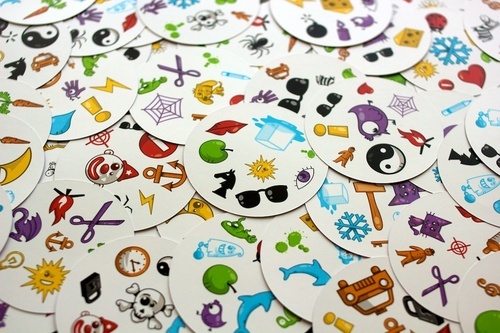 Each card has 8 different symbols on them—from a larger pool of more than 50 symbols. In the basic game, you’ll flip over two cards, and whoever can first spot the lone symbol they each share has to call it out, and then that person gets the card. What’s hard is that the symbols aren’t just different from card to card, but they vary in size, too. A ladybug might be gigantic on this card, and tiny on that one. The game comes with many ways to play—but they’re all versions of be-the-first-to-spot-the-matching-symbols. Our favorite is called The Tower. Each player gets one facedown card; the rest of the deck is placed in a faceup pile in the middle of the table. At the same time, each person turns his or her card over, and then everyone has to find and call out the symbol their card and the center card has in common. Each person will have a different symbol that matches the middle one. If you win, you get the card and add it to the top of your pile. That will reveal a new card from The Tower, and you look for a new matching symbol. When The Tower is gone, you count up cards, and whoever has the most cards wins. It plays from 2 – 8 players, the rules are super simple, and it’s really portable, so this would be a great game to play with a group of teenagers. Or your family. So the next time you’re at Target, consider Spot It! It’s fast, fun, and cheap, and portable. What more could you want?! Thanks for reading! The Basics – The player’s turn breaks down pretty simply for this party game of up to 8 players: Roll Dice, Move Cars, and Gain Control Chips (if possible). Each player rolls at least 5 d6 (Six sided dice) on their turn, and for every 6 you roll, you get to add an extra d6 and re-roll both the 6 and the extra die. You then group them up in pairs, triples, doubles, etc. (pairs consist of either of matching numbers or sequential numbers). Having a triple allows you to move a race car along the track 3 “spots”, a quad 4 spots, etc. You can play a single, but it will mark the end of the movement of that car for that turn (players can -and should- control multiple cars in a game, if there are less than 8 players). 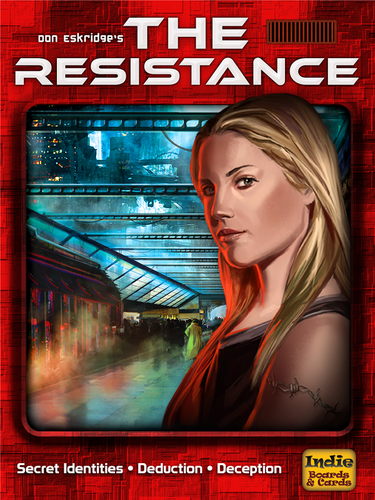 Control chips – allow you to do some nifty maneuvers depending on the phase of your turn. If you’re rolling dice you can add a d6 set to any number 1-5, or re-roll any amount of dice already in play. If you’re moving cars already they give you the ability to continue playing dice after you’ve played a single; juke, which switches spots with a car next to yours; or take control of another player’s car. I mostly found that using them to continue playing dice after a single allowed for optimal use of your dice in a turn and didn’t use them for much else while moving cars. You gain control chips by turning in unused dice at the end of your turn. The Race Track – is made of cards revealed at random from a shuffled deck. There is no set length to the race, you simply tuck the finish line somewhere in the deck and fire up your engines. The track consists of three elements, Spots, Paths, and Gates. Spots determine how far you can go depending on the dice groups you roll, Paths determine how you move between spots, and Gates are essentially roadblocks that require a specific group to be played before allowing the racer to pass. The Gates simulate the degree of difficulty for certain turns or areas of the track, requiring racers to throttle down to navigate. There is also a suggested variant for setting up the track first in a circle around the table, but I found the uncertainty of not knowing what was coming around the next bend more exciting! My Final Thoughts -I definitely recommend playing the game with as many cars on the table as possible. We found that with only 4 cars in the race it was very easy for a player to pull out to a lead and never look back. It’s also important that the deck gets shuffled well!! I can’t stress that enough, as a section of our first walk through yielded a Straight Away or Wide Open card 7 out of 8 pulls which added no challenge to the game. I wasn’t a huge fan of the artwork either, but the components were overall what you’d expect from an indie publisher and the game itself holds up well. What I took away from Dicey Curves was a quick moving, fun party game, the control chips were well thought out, and remove a good chunk of randomness from the game and inject a healthy shot of strategy into a game that would otherwise be completely left to the luck of a roll. 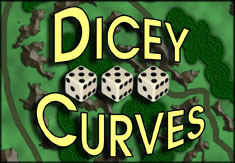 The Dicey Curves expansion Danger! Was just released, I’ll be reviewing that soon, so stay tuned! 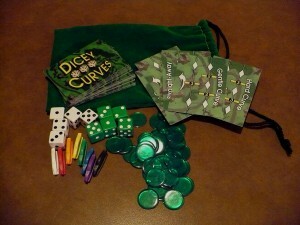 You can grab a copy of Dicey Curves right here! Looney Labs Launches a Kickstarter! 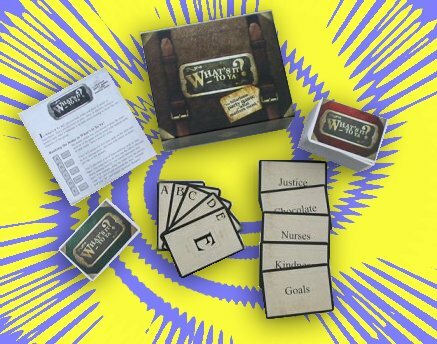 A few days ago the folks over at Looney Labs, headed up by Andy Looney, launched a Kickstarter campaign for the deluxe edition of “Are You a Werewolf?” If you haven’t played the original game, it’s essentially a werewolf version of the classic party game “Mafia,” but uses cards to assign roles instead of an Moderator-type person. The deluxe edition, is actually pretty clever. It uses those little picture viewers they try to sell you at every theme park in the world. So instead of being handed a card, that could be marked/nicked up, you grab a picture viewer, take a peek and see who you are. I imagine these picture viewers could get nicked up too, but I would think they would be more durable, and it’s pretty much impossible for someone to “accidentally” look at another players role. Personally, I’m a fan of the old school Mafia game, but this could be a cool way to facilitate a Mafia game, instead of the old “if I tap you on the head you’re the Mafia…” routine. You can check out the Kickstarter page RIGHT HERE. And as always, thanks so much for reading our little blog, we truly appreciate your support! What’s It to Ya… The Winner is Announced! Well a few weeks ago we reviewed a nifty little game called “What’s it to Ya?”—a game that, on the surface, is a fun, laugh-producing party game. But for those in ministry, it can also be used as a powerful teaching tool. Click here to check out our review. We also launched a contest for the game, and entries were taken through our Facebook Page. Well today on Random-Draw.com we’ve selected our winner! Scott, thanks for entering, and please tell all your friends how nice the folks over at TOG are!